The SASWCD's Winter Ag School classes have wrapped up and we have begun planning other events for this year. Be sure to check our website or Facebook page for updated District happenings. Tree and Plant Sale pick up: Pick up date will be here soon! For those of you who placed an order with the SASWCD, thank you and we will notify you of the date of pick up by May 1. Trout Sale: Information for ordering Brook trout through the District is now available. Pick-up date for trout is scheduled for Wednesday, May 29. If you are interested in ordering Brook trout from the SASWCD this spring, please make sure you have a permit from IF&W. Permits are good for 5 years and forms may be downloaded at the following link, https://www.maine.gov/ifw/docs/PRIVATE%20POND%20STOCKING%20APP.pdf Order forms may be downloaded by clicking under the "Fundraising" tab at the top of this page. Save the Date: August 7 Conservation Farm Tour: The SASWCD will be holding farm tours of three farms in the Patten area: a dairy farm and two diversified vegetable farms. The event will include lunch. Details will be posted as soon as they are confirmed so check back soon. BIG TREE CONTEST - The SASWCD and Maine Forest Service are continuing to encourage people of all ages to appreciate the value of trees and forest with a fun competition, "Big Tree Contest". It is easy to participate. If you know of a tree that fits the "Big Tree" criteria, simply fill out a nomination form and submit it to the SASWCD. District Forester Dan Jacobs will follow up and measure the tree, recording its dimensions based on a formula. Competition will be held from January until October, with a complete list of nominated trees and measurements available at that time. It's a good excuse to get outside! You may download a Tree Nomination Form here. 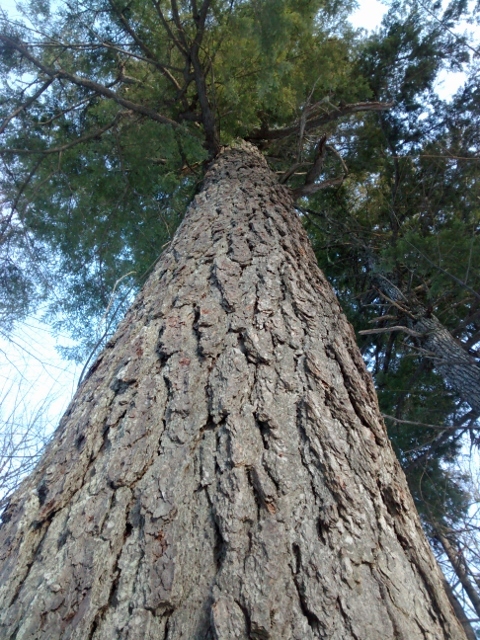 A list of native Maine trees can be found on the Maine Forest Service website at Forest Trees of Maine. 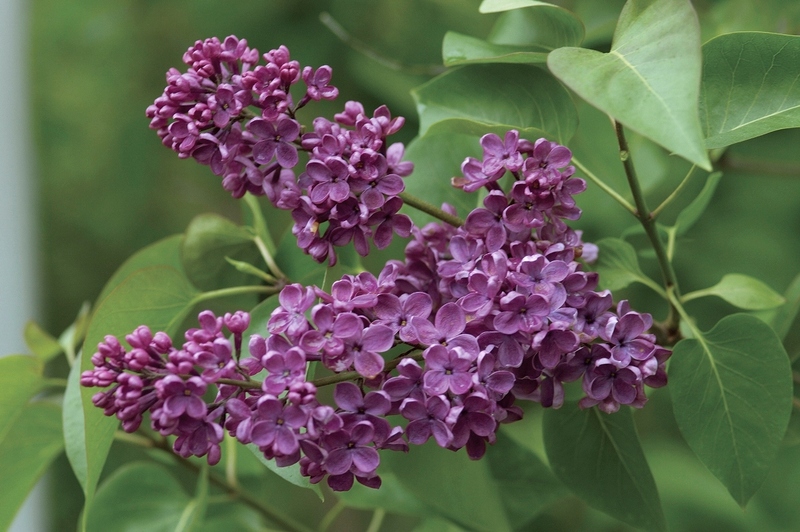 It's a great resource as it includes photos of our native tree species. Soil and Water Conservation Districts work as the grass roots connection between local, state and federal agencies and producers and have done so since 1935, when Congress agreed to a Soil Conservation Service after spending an afternoon in session with skies darkened by soil particles blown in from the Great Plains. 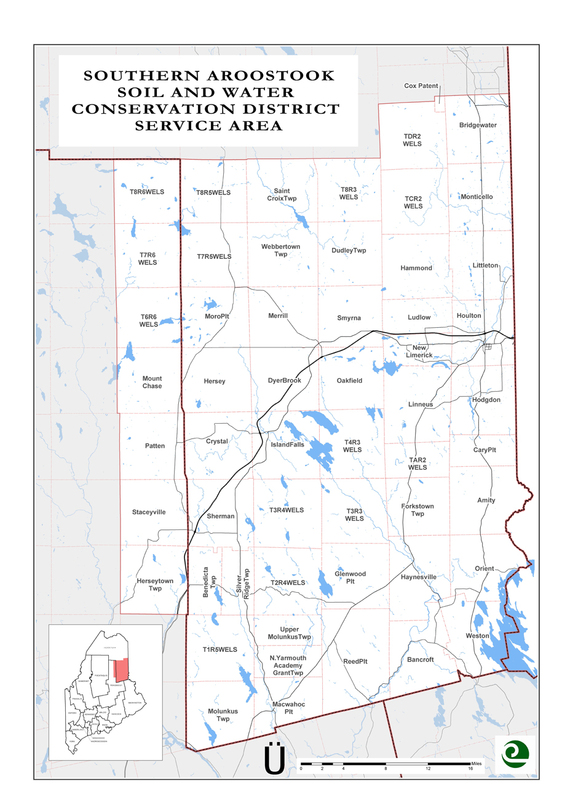 The Southern Aroostook Soil and Water Conservation District became recognized under Maine State Law in January of 1942. Since then, the SASWCD has grown from working with farmers as conservation "cooperators" to include all landowners. Education for all landowners is an important part of our work. Check out listings under "Education" and "Fundraising" to see what is happening this fall in Southern Aroostook. Assist and educate the public to promote stewardship of soil and water resources to landowners. The board of supervisors meet the second Wednesday of every month at 6:00pm at USDA Service Center. The public is welcome to attend.